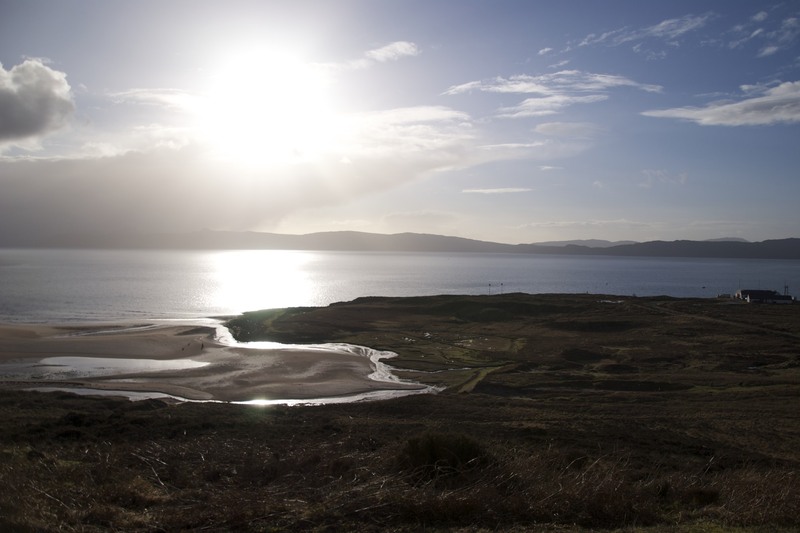 I wouldn’t usually decide to drive all of the way from Edinburgh to Applecross (North West Scotland) just for a weekend’s trip, but James had a meeting up there so we thought we would make the most of an opportunity to escape for a few days. Considering it is only February, we were very lucky with the weather. We did get rather wet on the return leg of our walk but we didn’t let that dampen our mood. The lovely Applecross scenery offered us some fantastic photographic opportunities. Here is a brief photo diary of the weekend. 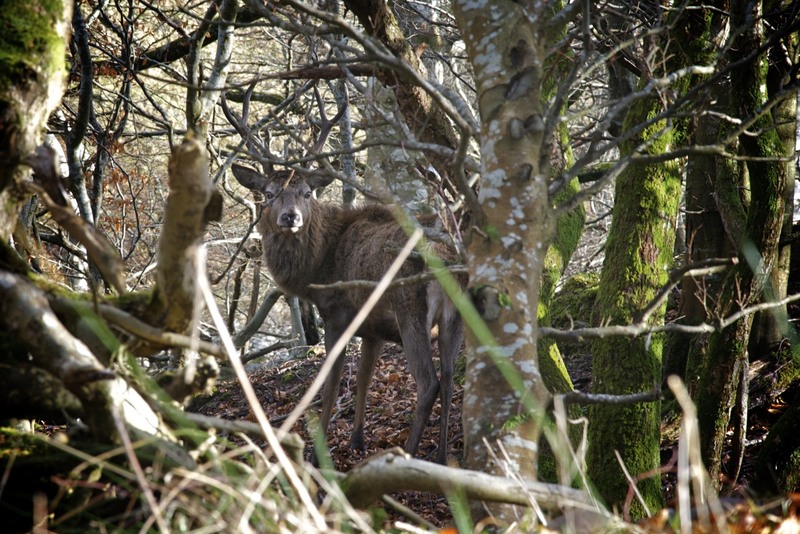 Saturday Morning – set out for a walk, cameras quickly pulled from backpacks as we spotted this stag just a few hundred metres from the campsite. 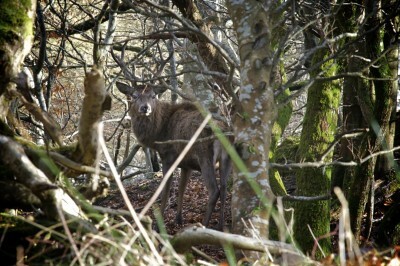 Once the stag had wandered away, bored of having the paparazzi taking his photo, we continued our walk down to the shore. 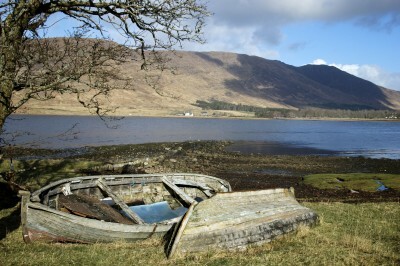 Here, I couldn’t resist the sight of two battered wooden boats bathed in the morning sunshine. Our walk took us up to Applecross House. 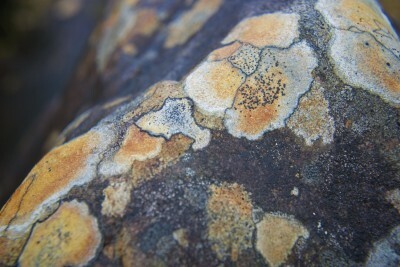 A quick shelter from a hail storm in the Walled Garden was followed by a walk through the Arboretum and along the river bank where I spotted this fantastically lichen coloured rock. Late on Saturday afternoon we headed out in the car to explore a little further around the bay. The sun was quite low in the sky and enticingly lit up this small beach. Last but not least, one of the highlights of the weekend for me, we came across a small group of highland cows happily grazing right by the road side. 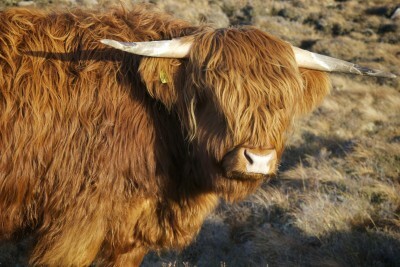 This one positively posed to have his photo taken!